A few days ago, we had looked at the first leaks of the Galaxy Alpha and there were thoughts that this would be a high-end device. 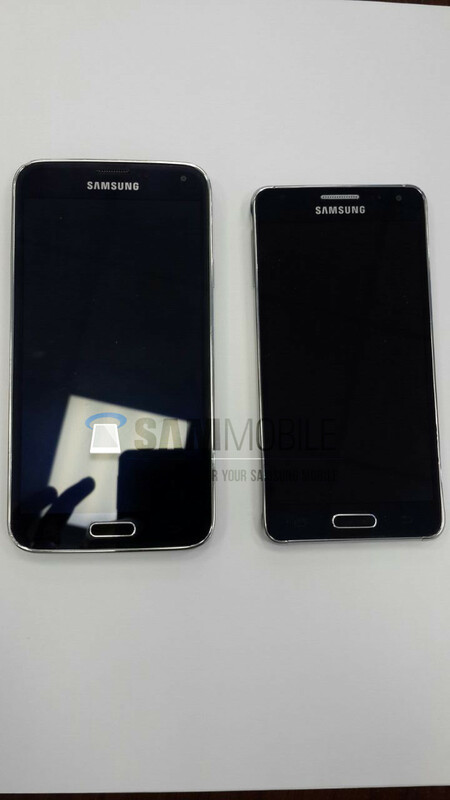 The latest images give a clear image and conclusive evidence that the device will be placed between flagship Galaxy S5 and its mini version. It was the metal-clad body that made everyone think that it was going to be a premium product and a shift from the plastic feel that we associate with Samsung. For all those who are awaiting its release of this device, the bad news is that it might be a limited edition Samsung device. The Galaxy Alpha reportedly has just a 4.7-inch display, and one that's similar to what shipped on the Galaxy S3 — though the details of resolution and technology aren't known at this point. That's going to be paired up with 32GB of storage but no SDcard slot, according to the leak, and the Alpha will retain the fingerprint scanner found on the S5. The body is made out of metal — reportedly aluminum — but the back is the same textured plastic as we've seen on the Galaxy S5 already. So the biggest take of the leak is that the Alpha is not going to be a replacement for Galaxy S5.